U.S. President Donald Trump’s executive order reuniting families who were being separated at the border is hardly what it’s cracked up to be. Advocates are warning that although it may free young children from their steel wire cages and allow them to rejoin their parents, it could also see their basic protections be removed while also opening the door to new abuses. “It’s about keeping families together while at the same time making sure that we have a very powerful, very strong border,” the president said while signing the order in a last-minute gathering for the press at the Oval Office. 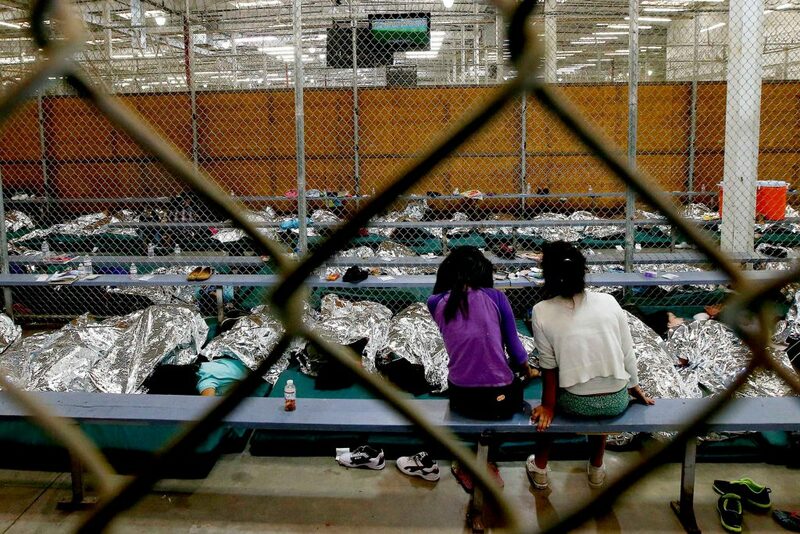 The order was initially greeted as a major climb-down by Trump and a concession to liberal slogans like “Keep Families United” or “Stop Separating Families.” However, critics — once given a chance to digest the order’s provisions — are now blasting the move as a political sleight-of-hand that will grant the federal government the ability to lock up entire families for prolonged, indefinite periods of time while not even guaranteeing that they won’t eventually be ripped apart. A court order currently requires that the Trump administration abides by a 20-day cap on the confinement of minors. Alien families together throughout the pendency of criminal proceedings for improper entry or any removal or other immigration proceedings. The White House hasn’t yet clarified whether the family separations would immediately come to a halt, nor whether the 2,000 children ripped from their families’ arms would be united with their parents. Lawmakers were split on the executive order along predictable partisan lines. We’re still digging into Trump’s EO, but here’s what we know right now: If implemented, there will continue to be zero tolerance for all asylum seekers, including domestic-violence survivors, a system of locking up children by the thousands, & all carried out in our country’s name. In the meantime, Republican Sen. Marco Rubio in Florida attacked the criticism for its apparent ingratitude for keeping families together within the immigration-related U.S. concentration camp system: “The ink isn’t even dry on the new executive order ending separation policy & some Democrats already arguing that keeping families together isn’t enough,” Rubio tweeted. This week, I called on the administration to halt family separations, so I am glad the president reversed his position and signed an executive order. We will continue to work toward a long term solution. The devil is in the details. This crisis will not abate until each and every single child is reunited with his or her parent. An eleventh-hour executive order doesn’t fix the calamitous harm done to thousands of children and their parents. This executive order would replace one crisis for [sic] another. Children don’t belong in jail at all, even with their parents, under any set of circumstances. If the president thinks placing families in jail indefinitely is what people have been asking for, he is grossly mistaken. The 10-week-old “zero tolerance” policy that prescribes the prosecution of border-crossing immigrants will also remain in effect, and U.S. attorneys are still required to criminally prosecute those lacking proper documentation. Under previous rules, the unauthorized crossing of the border was considered a violation of civil administrative law rather than a criminal law violation. Given that the zero tolerance policy mandates criminal prosecution normally resulting in misdemeanor charges, children will likely be separated from families as federal courts pursue proceedings. 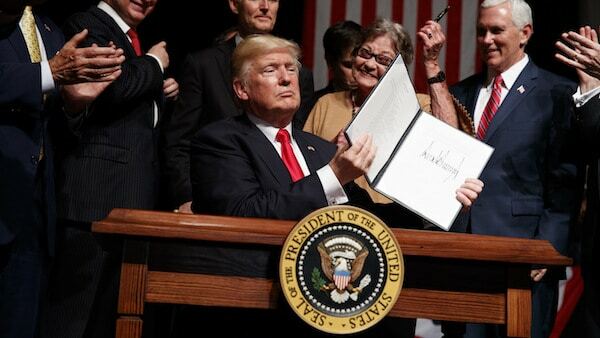 Former President of the American Immigration Lawyers Association (AILA) David Leopold offered a withering reaction to Trump’s executive order, calling it a calculated act of political theater that will actually worsen conditions for unauthorized migrants. “Trump’s Executive Order is little more than a cynical screed which does nothing to end family separation, a cruel and disastrous policy that he alone created,” Leopold said in a statement released Wednesday. “Instead the Executive Order doubles down on the brutal and wasteful zero-tolerance policy, which is calculated to deter families fleeing for their lives from coming to the U.S. to seek safe haven—a process that is absolutely lawful,” he added. Trump knows full well that this Executive Order, like his earlier Executive Orders, will be shot down by the Courts. And that’s exactly what he wants because it will allow him to continue to falsely claim that his wicked policy of family separation is someone else’s fault, whether it be the courts or the Democrats. Most insidiously, Trump … has demonstrated an ugly pattern and practice of leveraging his power over children—even babies and toddlers—for political gain. This Executive Order is just the latest in a never-ending series of cynical policy choices that tear apart families, put children at risk and do absolutely nothing to keep our borders secure or our communities safe. That’s not only craven, it’s evil. Despite the criticisms, news agencies have greeted the order as a major policy reversal while Latin American governments greeted the executive order while warning that they would continue to take measures to ensure that their citizens’ rights would be respected. Trump had apparently decided to make the move after seeing wall-to-wall coverage of the issue on cable television news. The former reality-TV star is known to have a voracious appetite for news programs, and uses them as both a mirror for him to see how his policies are greeted by tastemakers and influential political figures, and as a compass that allows him to navigate public opinion. Ivanka feels very strongly. My wife feels very strongly about it. I feel very strongly about it. I think anybody with a heart would feel very strongly about it. Trump is using this self-created crisis to set up a false choice for Americans to choose between ripping kids from parents or indefinitely detaining families. Except that Trump is, through this Executive Order, once again attempting to pull the wool over the eyes of the American people by making matters worse—he not only fails to end family separation, but he requires detention of all, even without making the Faustian choice to keep families together that he claims to be doing.